Growing IT boom has enabled Bangalore to be the fastest growing cities in Asia. As property prices soar to sky rocketing heights, it is becoming more and more difficult for prospective home buyers to find a home which is within their budget. During such times, wherein it is not viable to purchase their own house, renting properties in Bangalore can be of great help. Bangalore is a cosmopolitan city that has extended significantly in the last two decades. Bangalore and its suburbs are expected to witness prolonged demand for rental properties, both commercial as well as residential complexes in coming years. Some of the best property deals can be found in real estate owner’s website or property websites. One can also take hold of a land property agent to get hold of a convenient abode at their favorites Bangalore locality. 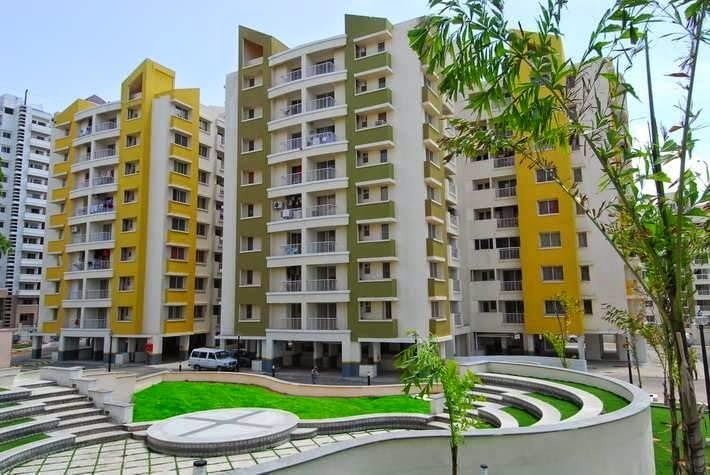 Renting properties such as apartments in Bangalore offers home takers with tax benefits. Some more benefits of staying in a rented house are mentioned below. The initial investment to rent properties in Bangalore is quite low as compared to purchasing one’s own home in the sky-rocking property prices. The difference in cost is almost five to ten times more than moving to a rented apartment. The money that would be spending on down payments can be now used to have a saving amount to purchase that dream abode with less loan fees. The renter is able to make financial plans easier. Rent usually also includes utilities in the amount and hence is easy to maintain. Since rentals amounts are also fixed in nature hence it is easier to design a savings or budget task easier. Insurance costs are also lesser for renters since the renter only needs to insure the materials offered with the property and not the entire construction itself. The cost of moving in a rental house in Bangalore is also lower than owing one’s own house since one doesn't have to pay any down payments and also lower deposit amounts are required. The renter usually has limited responsibilities toward the house he is staying in since they do not have to take care of the maintenance of the house. The owner or landlord of rental properties is expected to take care of the house repairs. In case the renter undertakes any maintenance task on the owner’s behalf then the renter receives compensation for the amount of money spend on the task. Understand the lease agreement better: The renter should read the lease conditions carefully before signing the lease agreement. It is also safe to understand well in advance what the leaser expects of the renter before moving in. This can reduce most of the conflicts rather on. The renter’s rent is lawfully obligatory when it comes to the existing engagements and the renter’s civil rights. Document all the phases: The renter should know well in advance the ways to safeguard their safety deposits. The lease agreement must properly document all the pre-existing clauses and all damages must be documented. Is there any cap on how long you are expected to stay with the same rent amount and how much amount is one expected to pay after the lease period limit. It is essential to document these clauses in detail as this feature will avoid the unnecessary rent hike demands from the owner. Do you know the owner well? The renter must also understand the background of the owner who is leasing out the home for properties like flats and apartments in Bangalore for rent. An owner with criminal background can be a trouble causer later on. It is always advisable to enquire about the renter in detail before zeroing on his apartment. One can also get hold of the previous tenants of the house and understand the problems they faced while their stay in that apartment or the reason behind them changing their apartment. Insurance helps: It is also better to understand about the renter’s insurance policy. A good housing insurance policy can safeguard the renter against possible unfortunate damage and losses that can arise due to any natural calamities such as due to floods, storms, fires, etc. and manmade calamities such as burglary, and other unfavorable events. Sampurna Majumder is a professional writer who enjoys creativity and challenges. Barely a year into new media, she has written several posts, articles and blogs for prominent websites on real estate and investments in property; topics span a wide range – right from properties in Bangalore. The above post highlights the benefits of investing in real estate.